Posted on 14. Feb, 2010 by Corey in All, NCAA Basketball. 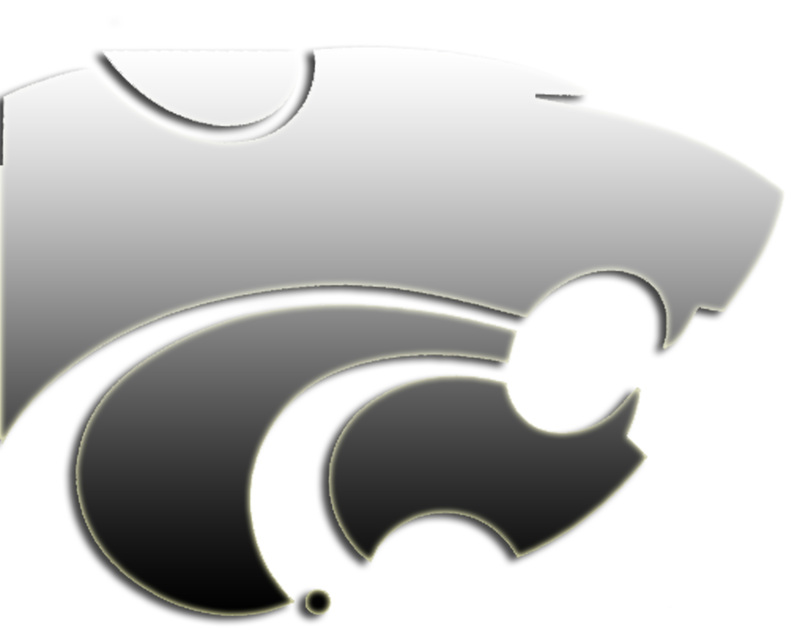 For at least the next few days, I am in Manhattan, Kansas to see the Kansas State Wildcats and visit some friends with the basketball program. I will be posting information on various topics concerning this Top 10 program over the next few days. I hope you enjoy. I have been on many college campuses and attended numerous Division One Men’s College Basketball games, seeing lots of different arenas, and atmospheres. I may be a bit biased, but when Bramlage Coliseum is “on and rocking,” it is among the best that I have ever seen. 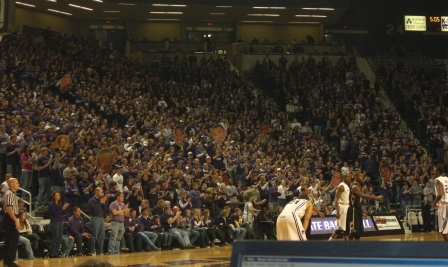 The Kansas State student body has the ability to be a game changer with their noise level, excitement and enthusiasm. 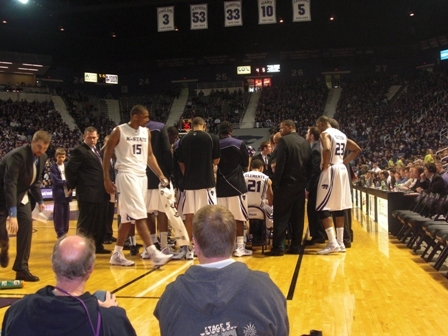 Down the stretch in a mid January game against then number one Texas, the Wildcats had the game in hand and appeared to be on their way to victory. The student body chanted, “Don’t rush the floor,” and didn’t, saying that they have “been there before,” and treating it like any other win. I think that shows class, respect, and smarts. I also may be in the minority, but I really enjoy the students performing, “The Wabash Cannonball,” a school tradition. If you click on the link above you can read what I am talking about. I feel very fortunate to be able to spend a few games each season in Bramlage. Full disclosure, the crowd was only fair yesterday against Colorado, but still better than most other places. I commend the student body for consistently filling the stands and cheering on this great basketball team. Last night following the K State win against Colorado, I headed out to Aggieville, the large bar and restaurant district in Manhattan, Kansas. Being a Saturday night, the area was packed and lively. I was impressed how twice during the evening at the establishment I was at, the DJ stopped playing the typical dancing music, and put on the Kansas State University Fight Song. What was even more impressive was that the entire bar was cheering the chanting throughout. 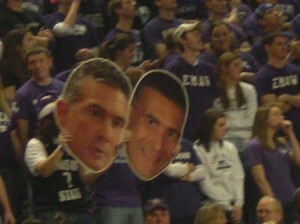 I will say it until I am blue in the face; Frank Martin is one of the best in the business. Not only is he a terrific basketball coach, but he is a terrific person. I could find so many adjectives to describe Coach Martin like passionate, caring, professional, and so on. What is even more impressive is how much he is loved by the fans and the whole Wildcat Nation. By far the largest cheer of the game yesterday was when Coach Martin took the floor for the first time during the pregame activity. The picture above of the giant Martin heads also says a lot. I have decided not to talk much about the game yesterday, since you can read the boxscore and game story here. The Wildcats are off today, before getting back after it tomorrow at practice preparing for the Wednesday game at home against Nebraska. Me? Time for a workout and back to enjoying The Little Apple. GO KANSAS STATE! Those are some impressively large heads at the game.